One of the reasons I adore the red carpet is that it gives you a chance to see some of the greatest contemporary treasures not to mention vintage pieces being worn. 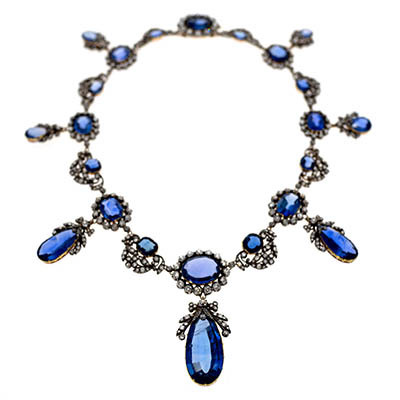 After all, jewelry is sort of incomplete unless it is seen on a body. Another place I have long loved looking at jewelry is in fashion photography. 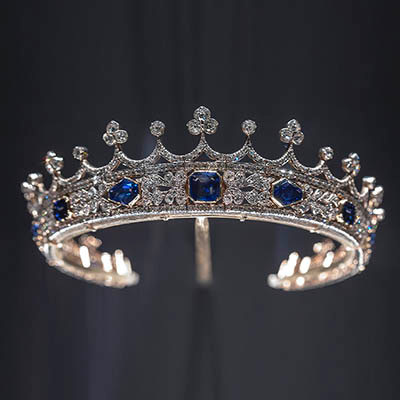 Some masters of the medium have used jewelry beautifully in their work over time. Irving Penn is one the absolute best. Sheila Metzner is another all-time great. 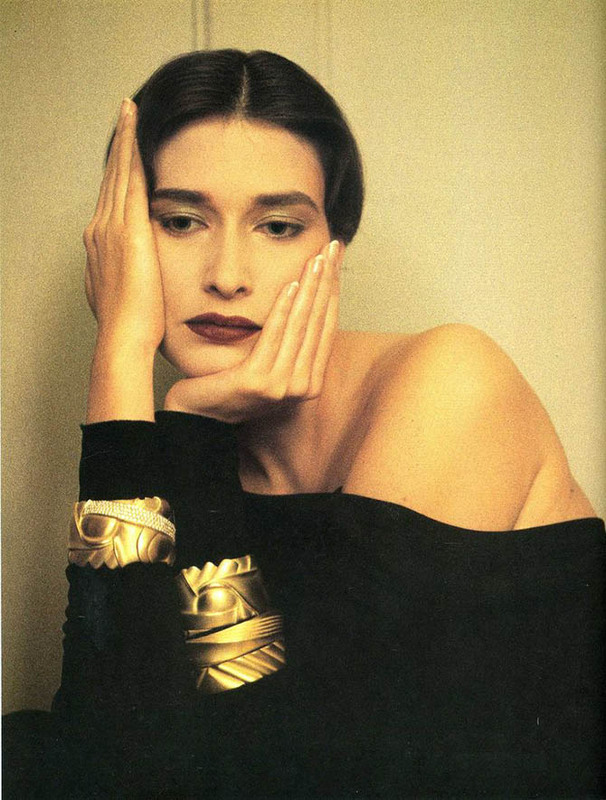 Rosemary McGrotha posed for Sheila Metzner in 1985 wearing Barry Kieselstein-Cord bracelets. During a visit to the Stanley-Wise Gallery, I was reminded of the brilliance of her work in the show Shelia Metzner: From Life. If you don’t have a chance to get to the exhibition before it closes on January 27, 2018—and even if you do get there—get the book that inspired the show. It is a must-have for jewelry lovers. In her dreamy portraits with soft edges and moody colors, Metzner makes jewels an integral part of her compositions. It’s a gorgeous punctuation point of her photographs printed in the age-old Fresson and platinum printing process. A model posed for Shelia Metzner in 1986 wearing a Paloma Picasso earring. 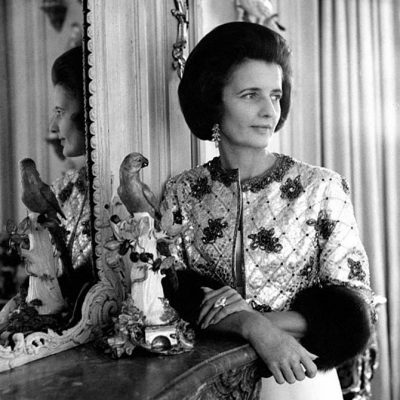 In the mid-1980s, the heyday of Metzner’s career, she worked regularly for Vogue. 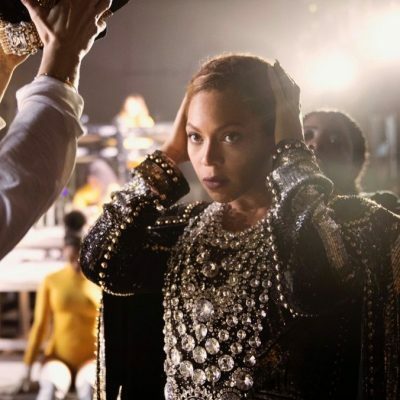 While her aesthetic makes the images feel as though they were produced at the dawn of the twentieth century, the jewels in her photos were mainly 80s styles with a few bold 70s pieces in the mix. Christy Turlington posed for Sheila Metzner in 1987 wearing Elsa Peretti’s Scorpion necklace. Sculptural designs by Elsa Peretti for Tiffany appear time and again in her work. 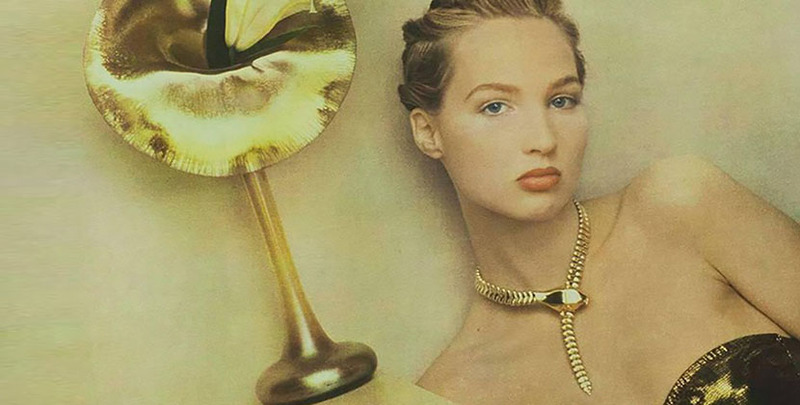 Bold Barry Kieselstein-Cord bracelets make a 1985 photo for Vogue of Rosemary McGrotha shine. A model’s profile was lit with a Paloma Picasso earring for a 1986 British Vogue story titled “Rock Stars.” Jewelry designer Tina Chow was poignantly captured by Metzner’s lens in a 1988 profile piece for Vogue Paris. Some of Metzner’s photos tell a story in the way they are styled. 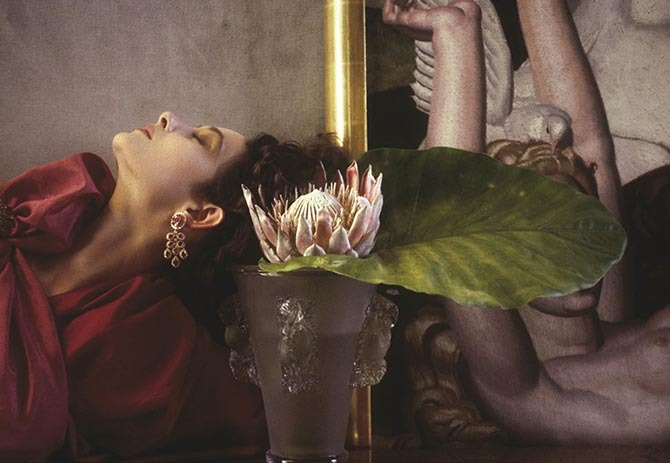 In her 1985 image titled Joko, Passion a model in a red gown and a ruby and diamond earring lies in repose—or is it a state of ecstasy—among perfectly placed objects including, what appears to be a Lalique vase. In one of Metzner’s most well-known photos, The Passion of Rome also referred to as The Kiss, a model about to kiss an Adonis wears a pendant earring with an urn motif that perfectly echoes the theme of antiquities in the Eternal City. The 1986 composition brings the theme of the earring beautifully to life.